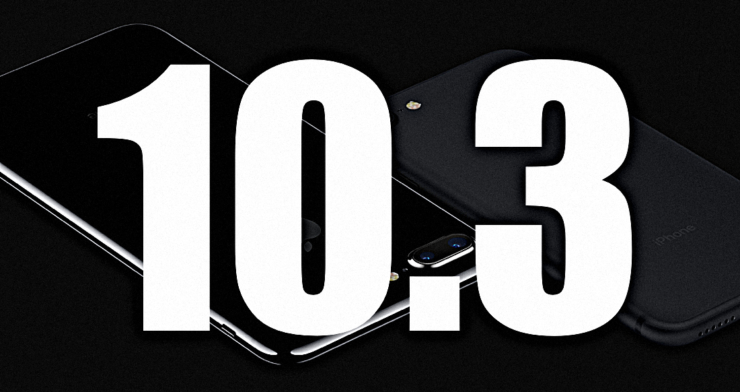 A week later, Apple has released iOS 10.3 Beta 6 and macOS 10.12.4 Beta 6. You can download them both over the air if you are a developer. Apple has updated two of its major beta software today – iOS 10.3 and macOS 10.12.4. The aforementioned pieces of software are seeing themselves being updated to Beta 6, and are available to developers the world over. And just like before, you do not have to download everything from scratch in order to get the latest release. A simple over the air download and installation takes care of everything. Connect to WiFi and connect to a power outlet. Navigate to Settings > General > Software Update. Tap on Download and Install when the new update is available. macOS 10.12.4 Beta users can download the latest release over the air too. Follow the steps below on how to do so. Save your work and launch the Mac App Store. Click on the Updates tab at the top. Wait for the latest update to show up then click on Update next to it. Given we are sitting on top of Beta 6 already, it seems as though Apple is very close to release the final builds of its software to the public. But it won’t be surprising at all if the company decides to take things further with release of Beta 7. If that happens, you will hear from us definitely. While today’s release is available for developers only, you will be pleased to learn that regular users can test drive Apple’s upcoming software for free. This is possible through Apple’s Beta Software Program, which you can access by going to the beta.apple.com link. Once here, simply sign in with the Apple ID you are using on your iOS device or Mac and the update will be pushed to you over the air. This in turn means that you do not have to fiddle around with iTunes or anything to get things done. Remember one thing though: make sure you install the install on a device that is not your daily driver. Beta software can hinder your daily usage.